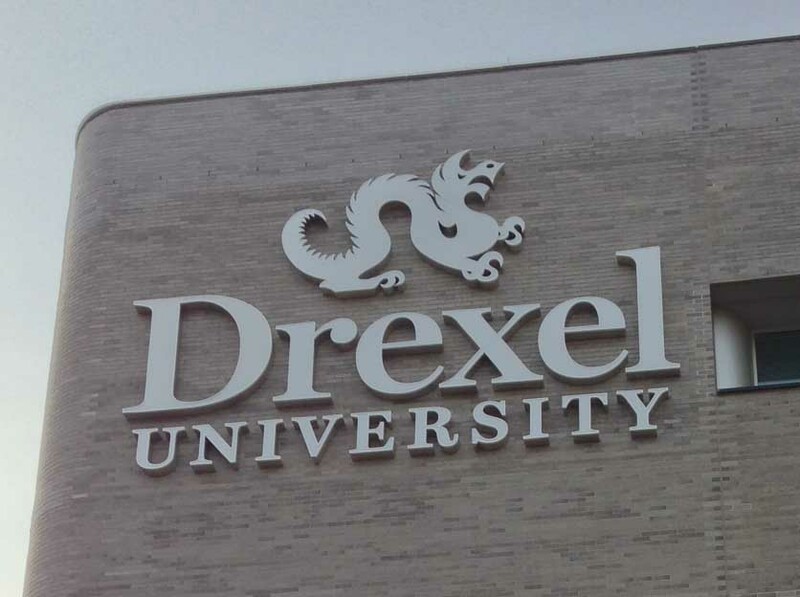 Olaya Studio has worked with Drexel University on several projects at One Drexel Plaza including the renovation of the lobby, the design and installation of the exterior sign, and the interior renovations and fit-out for the Drexel e-Learning offices. The lobby renovations consisted of addressing low light levels throughout the space, stark glare from the entrance glass doors, coupled with deteriorating finishes and poor acoustics. The project involves looking at new contemporary materials and lighting that will enhance the look of the lobby and complement the overall architectural style of the building. 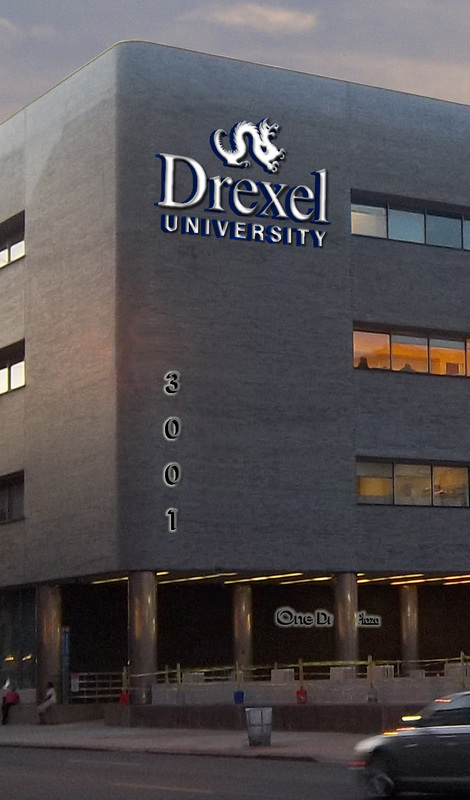 Olaya Studio designed and coordinated the installation of LED signs on the eastern exterior facade: “Drexel University” which includes the 14-foot dragon logo located in the top east corner of the building’s facade, the vertical “3001”, and “One Drexel Plaza” near the building’s entrance. We worked with the management team for the Drexel e-Learning offices to fit out new offices to accomodate their growing needs. 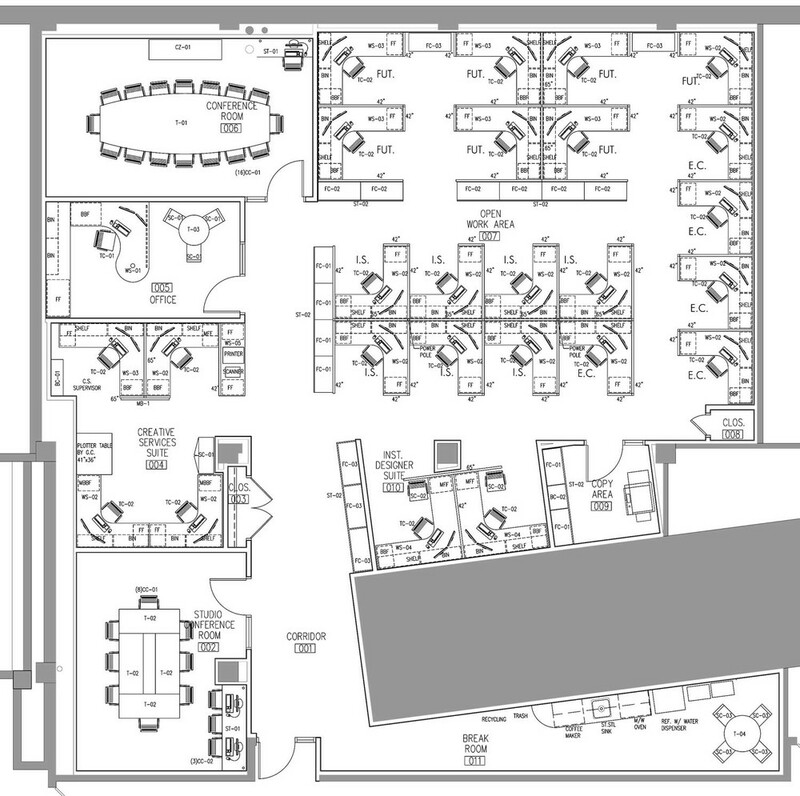 Our services included space plan programming, architecture, and furniture selection and procurement.